When the broth is finished, I let it cool a little and settle and I take a small measuring cup and skim off some of the fat on the top. Remember you added butter so there will be some fat. If this does not bother you then leave it. Next, boil your dumplings. When the dumplings are finished cooking, drain it and add the 3 tablespoons of butter to the pot and toss the dumplings in it. To plate this dish simply add the dumplings and cooked pasta if you wish to the bowls, as much or as little as you wish. I use about a ladle or two full of the broth on top of the pasta and then I top it with fresh parmesan and lots and lots of black pepper. 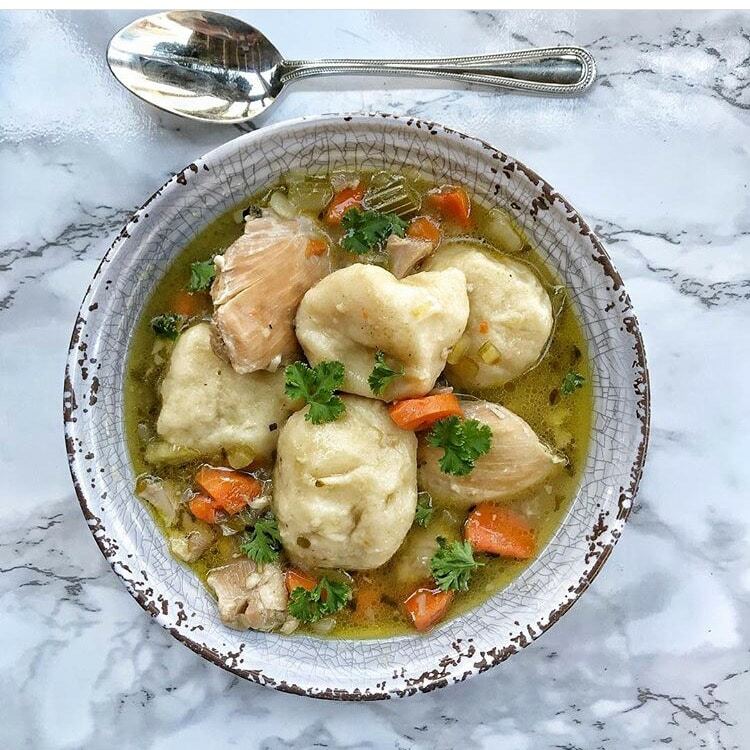 The dumplings should not be floating in the broth, add just enough broth so you get a little bit with each bite.